Oops forgot to add the butter. Don't tell my dad, but the maple syrup at the grocery store was actually pretty good. I've been making a lot of waffles lately and the kids have been slathering them with maple syrup. They have been fortunate enough to have grown up on grandpapa's maple syrup. They have no idea who Aunt Jemima is. I based this recipe off my Cranberry Ginger Scones. 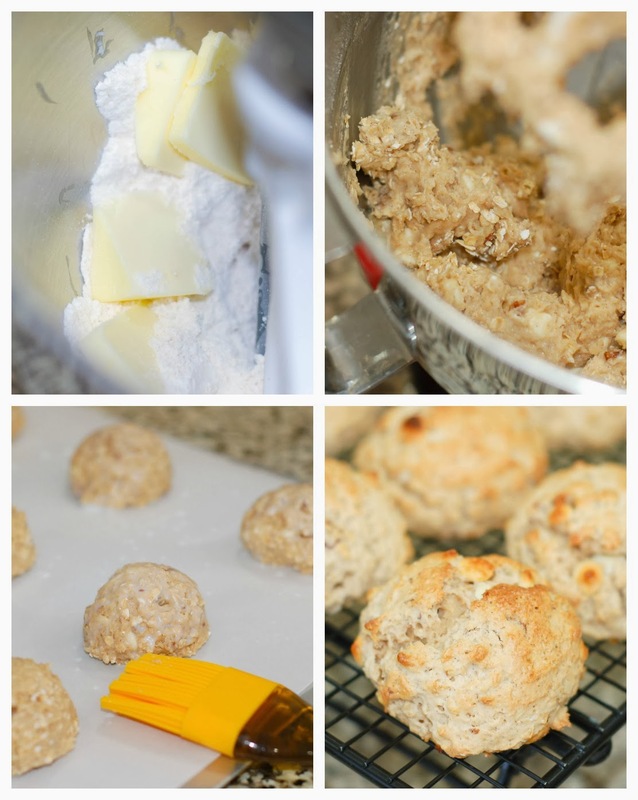 I really love the texture the quick oats give the scones and I love how the brushed on milk gives it a nice golden color. 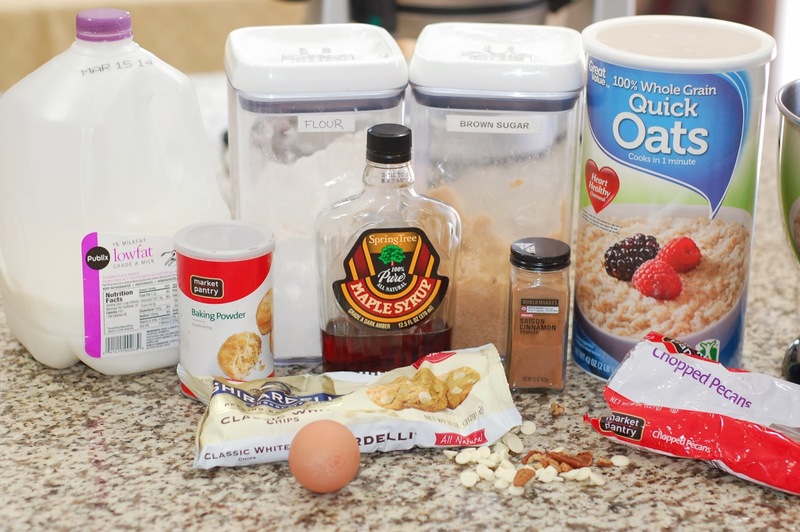 I just replaced the honey with maple syrup and the dried cranberries and ginger chips with pecans and white chocolate chips. For the glaze I swapped out vanilla extract for some maple extract and sprinkled a few more chopped pecans on top. I got a little lazy and didn't place the scones on the cooling rack to drizzle on the glaze, I just did it on a sheet of waxed paper. Less to clean up. The scones came out with just the right amount of sweetness, they are not super sweet like a dessert. 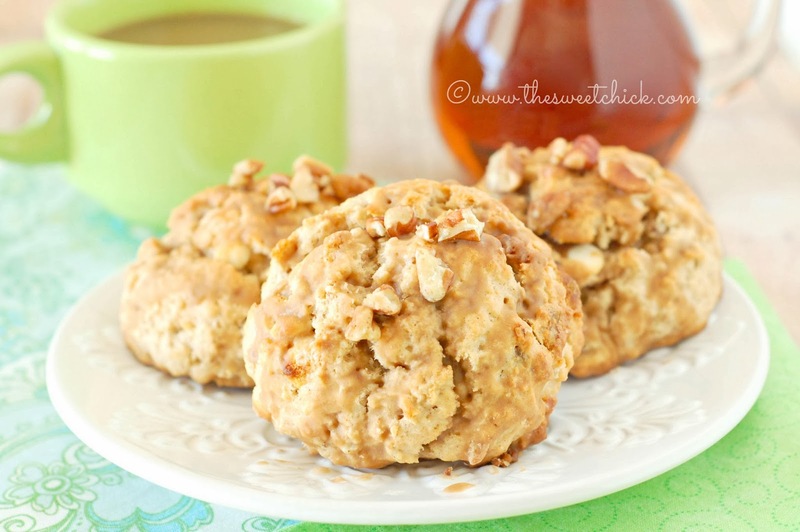 They are perfect for breakfast or snack with a nice cup of coffee. The pecans give them a nice crunch and the cinnamon adds a punch of spice. 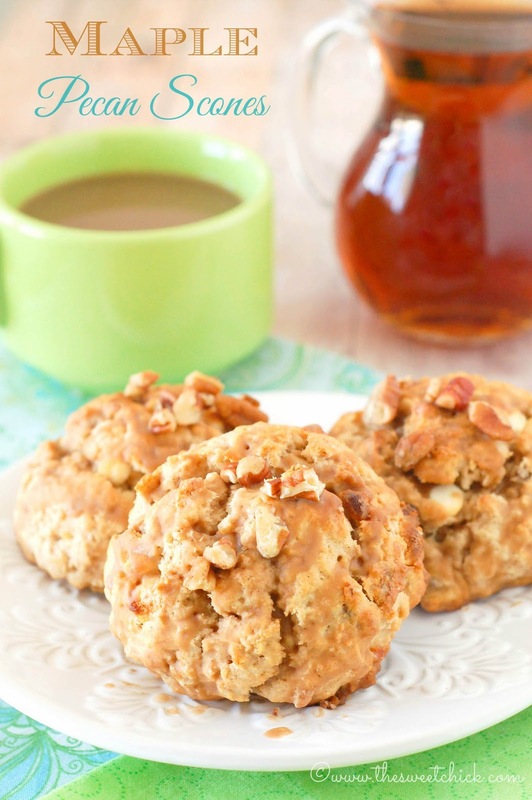 In a stand mixer, mix flour, sugar, baking powder, oats, pecans, and white chocolate chips. Then add maple syrup and mix on low speed until fully incorporated. The batter will be a dough like consistency. 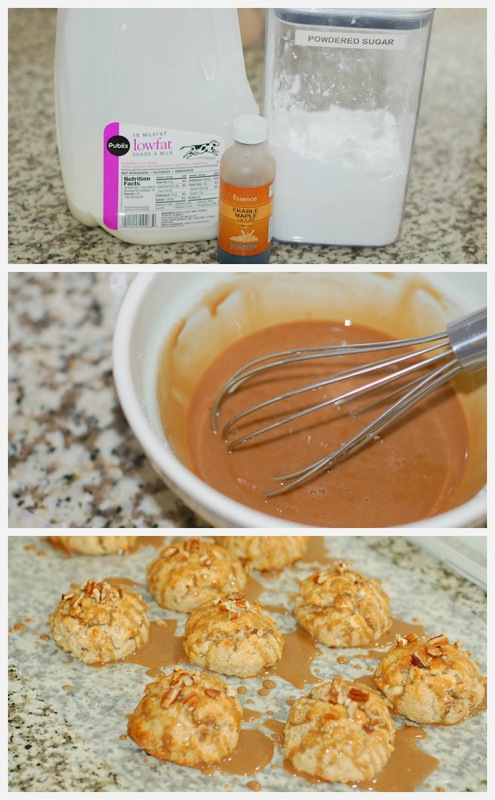 Brush the tops and sides of each scone with milk and sprinkle with sugar. Bake for 13-15 minutes or until toothpick inserted in middle comes out clean. In a small bowl whisk together powdered sugar, milk, and maple essence/extract until smooth. Grab a cup of coffee. Dunk, eat, and enjoy! These are so easy to make and taste great. Thanks for pinning Joy. I could really go for some of these right now- they sound delicious! Hope you had a chance to make some Rachel. Oh my! Perfect timing to come across this recipe. We just got back from a trip to Canada with some amber maple syrup. I can't wait to try it in these! I'm a sucker for scones... and then you went and added maple AND pecan, and I just couldn't resist, girl! These look incredible, and I cannot wait to try them! 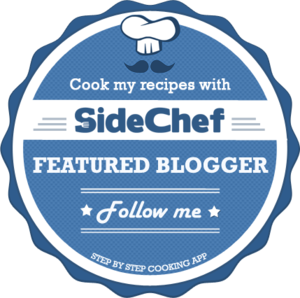 Also, this was one of my favorite recipes from last week's That's Fresh Friday Link-Up, and I'm sharing it over at The Speckled Palate today as a feature! Happy Friday, and keep up the great work!